Almost everyone needs to improve their vocabulary. One popular site is freerice.com. 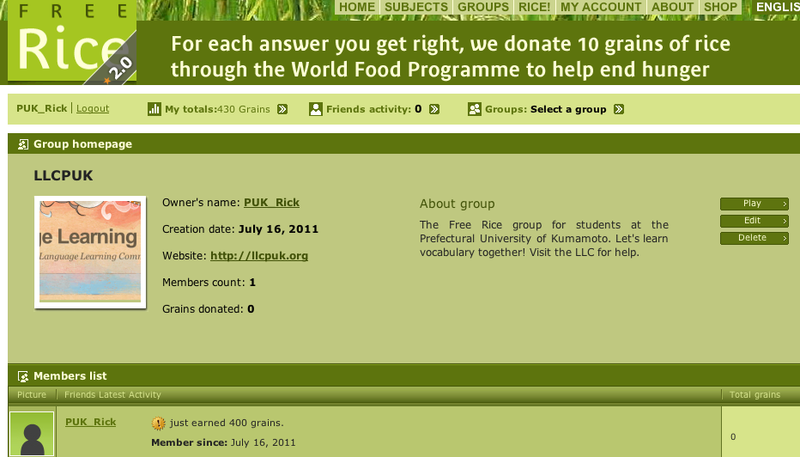 The site gives you multiple choice questions, and Free Rice donates 10 grains of rice each time you get a correct answer. If you’re planning to study abroad and you have a good GPA and have taken the TOEFL test in the past, it may be possible to get a scholarship to study abroad. Take a look at the page on the ETS site. It’s probably too late for this year, but those of you planning to go abroad next year should be looking for opportunities like this. Posted in Links, TOEFL, 外部試験.